We cannot deny the late night cravings! We also cannot satisfy those cravings with celery and water! Our health programs and diets tell us to not eat late at night, but when you cannot ignore the cravings there has to be a remedy! NightFood was made for those late night cravings! With just enough protein and fiber to satisfy your hunger, you will not consume a bar with any guilt! Movie nights always bring on the cravings, don’t they? We all know that microwave popcorn and bowls of M&M’s offer zero nutritional value, but we want sweet and we want satisfying! Night food bars come in two flavors: Cookies n’ Dreams (pictured above) and Chocolate Crunch. I sat down to a movie with my husband and son and I actually could not finish a whole bar. 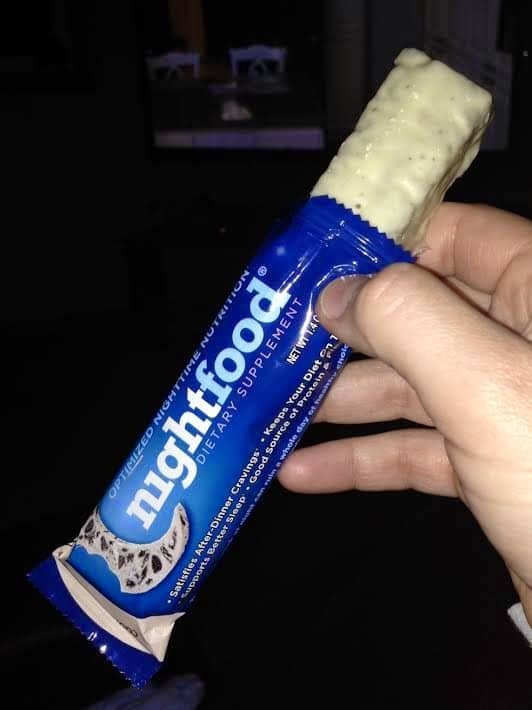 It was 8:30pm, I was craving sweets and grabbed a NightFood Cookies n’ Dreams bar worried it was not enough and I was full at half the bar! 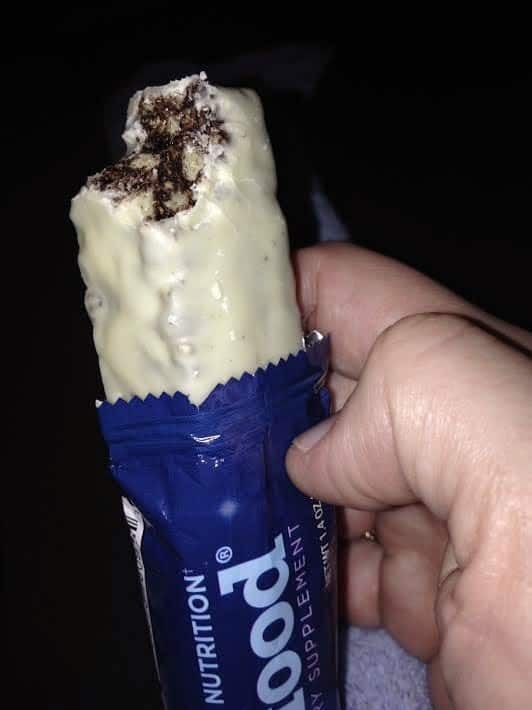 I tossed the last half of my bar to my husband who is always pacing for late night craving options and he took a bite and said “OMG! These bars were made for me!” He’s right, I don’t always have the cravings, but he does. I know it is because he only has time for the gym in the evenings, so he works all day, comes home to eat dinner, heads to the gym and has another appetite he fights to ignore later on in the evening. We live only moments from a GNC and they stock these bars, so we are always keeping these on hand! They truly are delicious. What about the kids cravings? My 6 year old loves these! Teens and kids get those cravings too and there is less sugar in this bar than a glass of milk and not too much protein that these are great snacks for kids! 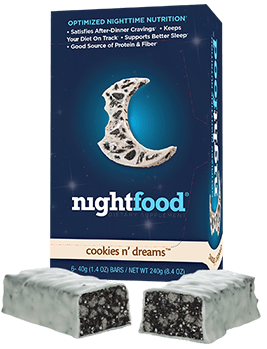 NightFood bars have optimized night time nutrition that even helps promote better sleep by providing better ingredients than the junk food you want to reach for. There are only 9 grams of sugar in each bar and low in calories. No sugar rush and crash, just a satisfying snack and a healthier option! Learn how you can try a box for free (just pay $1.95 S&H). This way you can get the confidence that these bars taste great and will work for you!